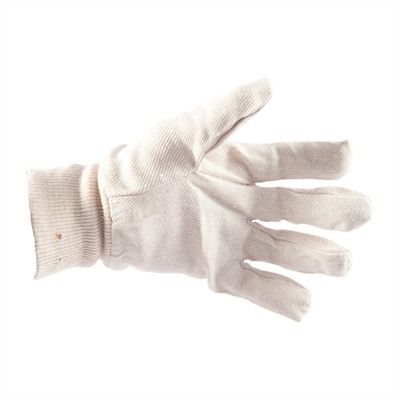 Cotton canvas gloves keep fingerprints off freshly polished steel, and keep your hands clean while polishing, too. Stretch knit cuff for stay-in-place fit. Mfg: Brownells SPECS: Industrial cotton, off-white. Sold in pak of 6 pairs only.